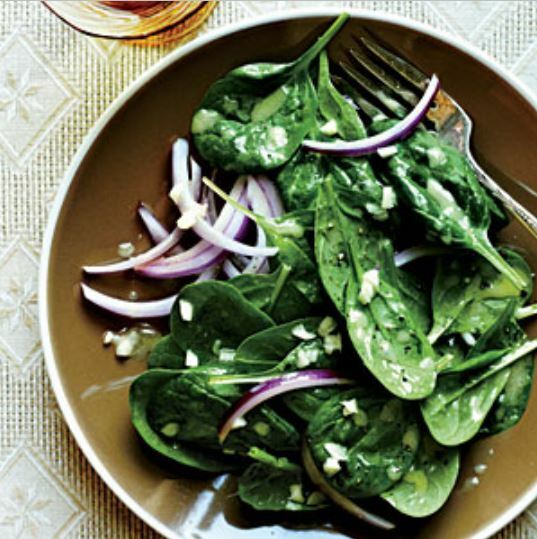 Look no further - this Spinach with Garlic Vinaigrette salad recipe is the perfect, simple summer side dish. 1. Combine the first 6 ingredients in a large bowl, stirring well with a whisk. Add 6 cups spinach and red onion; toss to coat. Recipe formatted with the Cook'n Grocery List Software from DVO Enterprises. Have You Tried This Yet?